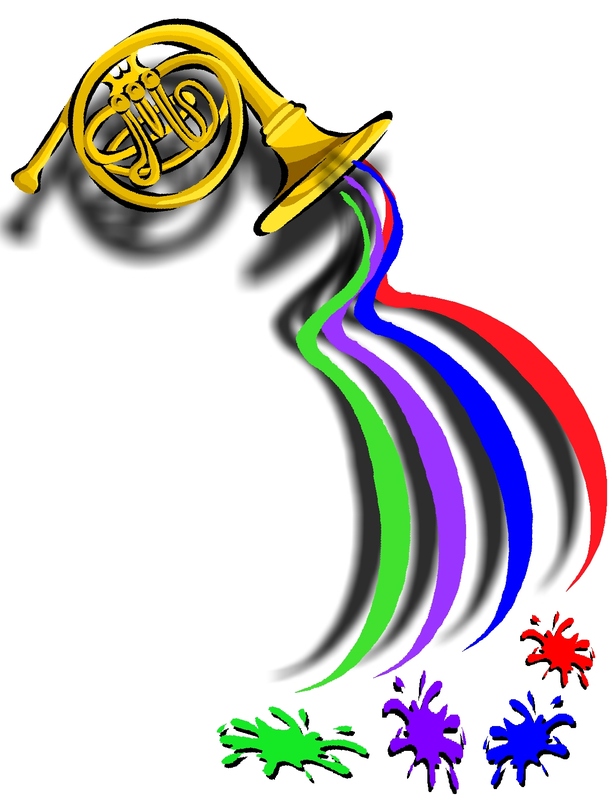 Category Archives: Arts Jam: What’s Jammin in the Arts? 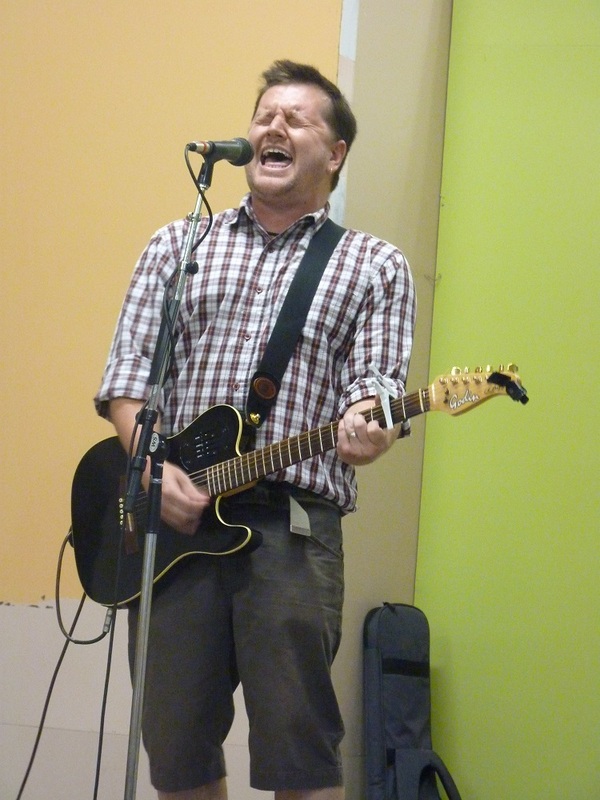 The audience attending Music in the Park was undeterred by rain on the evening of Thursday August 16, moving to the rain venue at the Quail’s Nest Arts Centre eager to hear locals Jeremy Cook and Brian Highley perform two sets on guitar. Jeremy created a relaxing atmosphere for the first half of the program, displaying considerable talent both as a classical guitarist and as an arranger and composer of instrumental pieces. Acknowledging his meditative style of playing, he joked “I won’t mind if you nod off. Really.” Jeremy varied between familiar classics such as Greensleeves, considered “an old song” in Shakespeare’s day, and some of his own soft jazz and blues compositions. He also brought new interpretation to some sacred music, particularly hymn tunes such as the Welsh Hyfrydol. Brian Highley plugged in at intermission and delivered an emotional performance of covers ranging from 60s folk to light rock such as Into the Mystic by Van Morrison, Simon and Garfunkel’s The Boxer, Neil Young’s Harvest Moon, and I’m on Fire by Bruce Springsteen. Particularly affecting was his rendition of Steve Earle’s Goodbye, perhaps outdoing Earle himself with a heart-wrenching interpretation of the lyrics. The audience comfortably filled the space in “Big Blue”, a mix of ages from toddlers to seniors. Musically there was something for everyone from traditional to modern, religious to secular, old faves to new tunes. Despite the wet weather outside, there were plenty of smiles inside. These two gents created a wonderfully calming and relaxed mood that stayed with listeners for their journey home. The Oliver Community Arts Council gratefully acknowledges the support of their corporate sponsor for this summer programme: Valley First Credit Union. Please continue to support their Feed the Valley initiative with your donations of food items for the Oliver Food Bank. The deadline, Friday, September 13th, is fast approaching. This year’s show is Saturday, October 5th and Sunday, October 6th. Saturday is free and open to all visitors from 3 -9. You receive a ballot and are asked to vote your favourites in each category. That evening the votes are tallied and winners awarded prizes during the opening reception from 7 – 9 pm. Sunday’s admission is only through a Festival of the Grape ticket. Come by and see the display of brilliant local creativity in the community centre, while taking a break from the Festival on the centre’s grounds. This year we are honoured to have 2 wonderful featured artists. Glenn Clark of Penticton, known by his hockey team mural on the Elks Club wall and his beautifully painted landscapes of the Okanagan. As well, we’re delighted to showcase our own quilting magician, Marianne Parsons. Her artistic quilts have achieved high honours and this year she was recognized at the highest level with a win at the National Quilt Show. As you look around at the artwork, take your time to view the The Desert Sage Spinners and Weavers display of their “cottages” on the floor and The “Ripoff Artists” annual challenge of “Kandinsky” on the stage. All the artwork entered in the show is for sale. An ideal chance to purchase that piece of artwork you’ve been looking for. You’ll also want to take a look at the silent auction offerings. All sorts of enticing deals to tempt you. Separate auction items are placed for your bid each day. You’re sure to find something special to take home. If you’re downsizing or saving something to give away, Please think of us. We’ll be glad to accept your good used, new, items of interest for the silent auction. 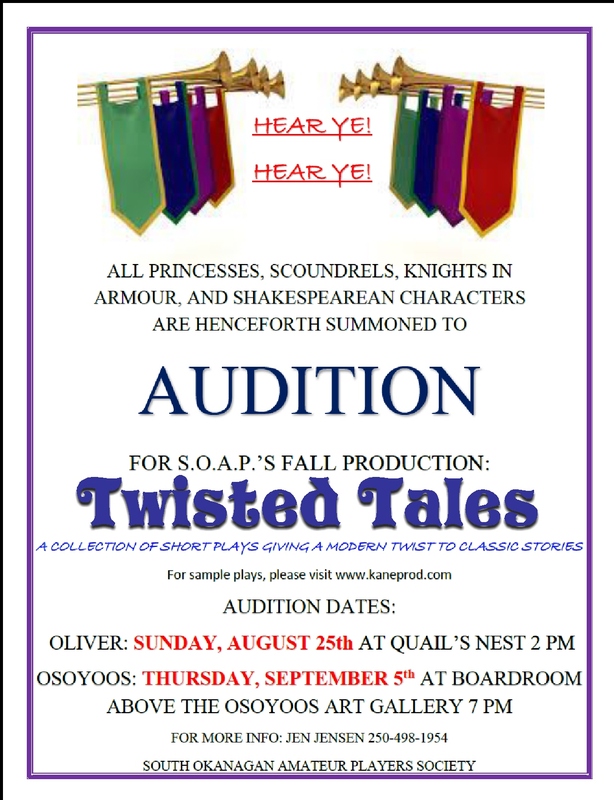 Email, “attention Bernice” or “Silent Auction” or “FASS” to OliverCAC @ gmail.com We’ll make arrangements to pick up. 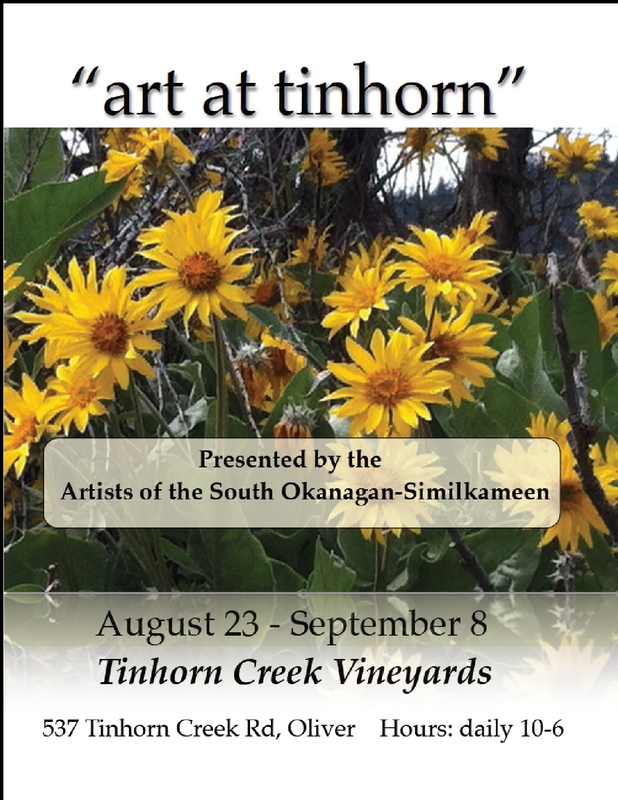 The Artists of the South Okanagan-Similkameen return to Shatford Centre with “Art Happening”, an exhibition of fine art on view from August 2 – September 12. “Art Happening” is a new show opening at August 2 at Shatford Centre in Penticton. The exhibiting artists are all members of the Federation of Canadian Artists, and you will find a wide range of media on view: watercolours, oils, encaustics, acrylics and mixed media among them. A visit to the show makes a great outing on a summer’s day, and it’s a good opportunity to showcase for summer visitors the lively world of art to be found in our neighbourhood! So plan to spend some time with art. 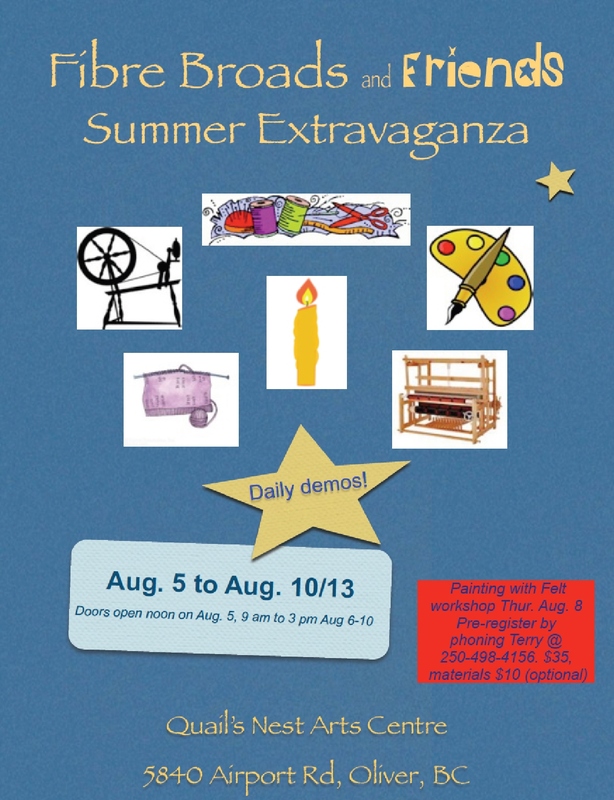 Visit Shatford Centre to see “Art Happening”, any time between August 2 and September 12. Gallery hours are Monday to Friday 9-5. Shatford Centre is located at 760 Main Street in Penticton. 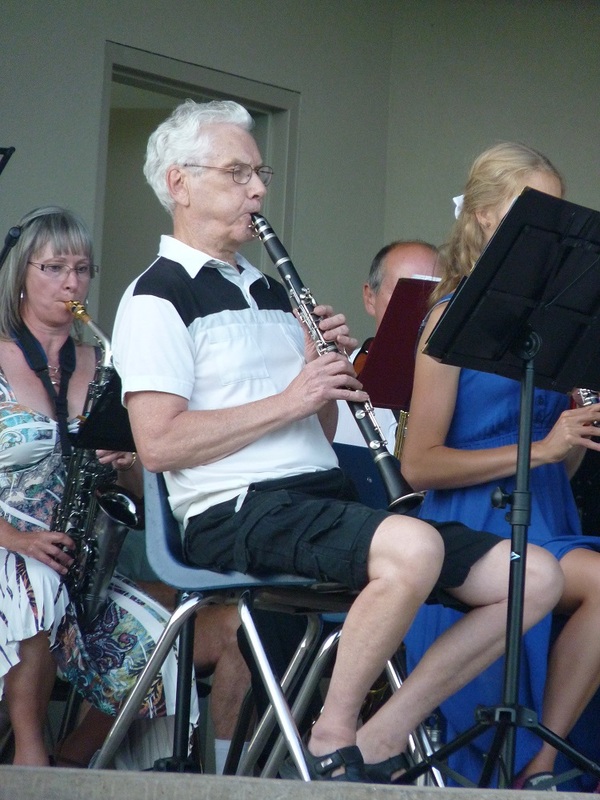 The Penticton Concert Band opened the arts council’s Music in the Park series with some exciting rhythms, sweet melodies, and stirring harmonies on Thursday July 4 The warm sunny evening at the Oliver Community Stage (Bandshell) attracted a large crowd. The audience had generous applause for the band conducted by Gerald Nadeau. The first set opened with the Spanish influenced “Ole!”, and continued with some lovely ballads performed by Madison Johnson, including the chestnut, Love’s Old Sweet Song. Her warm voice was perfectly suited to the slow lyrical melody, evoking the singing style of 1930s radio. She later lent her voice to two medleys from Moulin Rouge and West Side Story. Under Nadeau’s baton, the band has been improving by leaps and bounds over the years, with a tight, crisp delivery. Nowhere was this more evident than in the challenging Fuego de Alma, with each section solo underscored by syncopated flamenco hand-clapping from other band members. Their rousing Pirates of the Caribbean was another highlight, earning cheers from the audience. Perhaps the best evidence of audience appreciation was the energetic dancing and leaping of a few young children. One little boy parried and thrust his way through the Pirates score, emulating Captain Jack Sparrow. 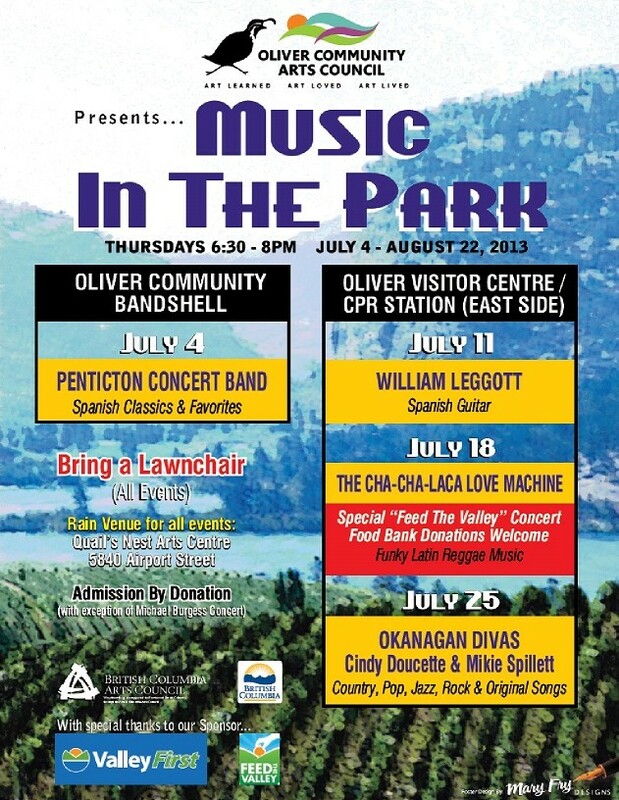 Music in the Park continues every Thursday in July at the cozier venue of the Riverside Patio at the Oliver Visitor Centre (the historic CPR Station). 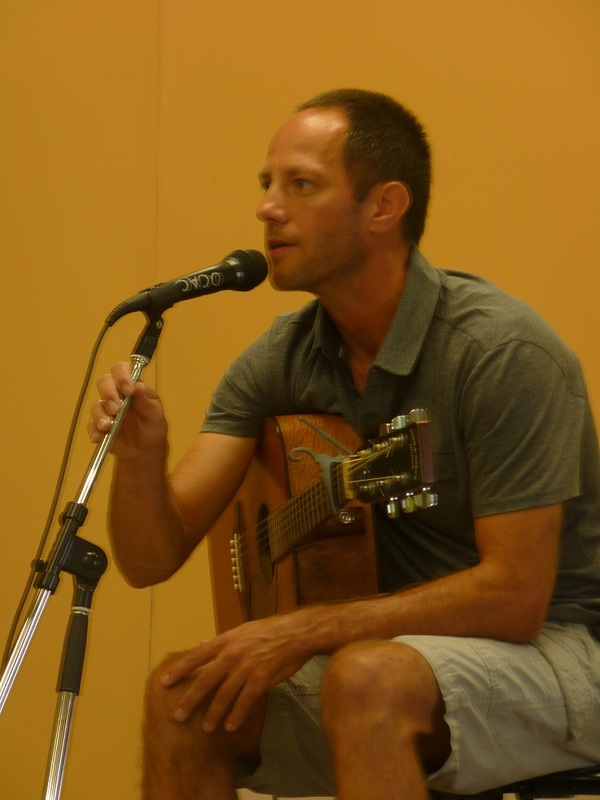 Thursday July 11 is William Leggott on classical guitar. Thursday July 18 brings The Chaca Laca Love Machine with their funk, reggae, and Latin rhythms. This concert is our special Feed the Valley concert, sponsored by Valley First Credit Union. Bring a food bank donation! 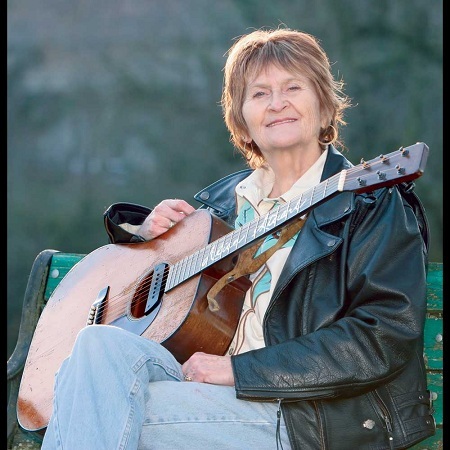 Thursday July 25 is Okanagan Divas CindiyDoucette and Mikie Spillett sharing the stage with a mix of country, jazz, pop, and light rock. Every concert runs 6:30 – 8:30 pm. Admission by donation, with a suggested minimum of $3. 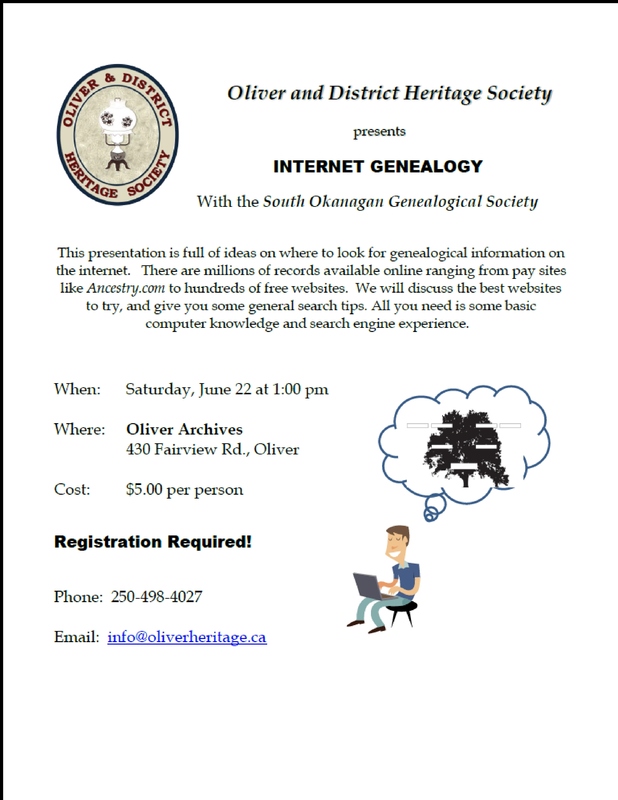 Every concert has refreshments by donation (bottled water and baked goods) courtesy of Oliver Lioness Club in support of the Chloe Krueger fundraiser. 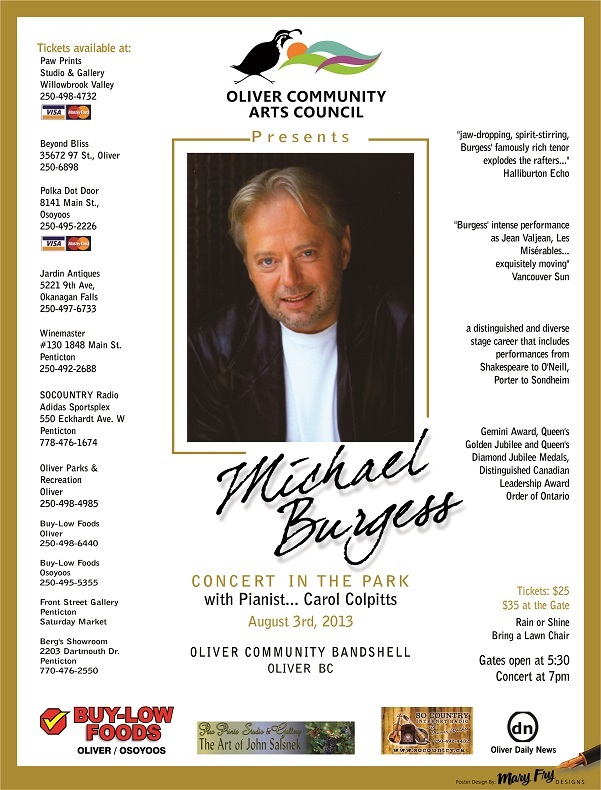 Scroll down this page to see the August lineup for Music in the Park, plus info about the Michael Burgess concert. Don`t forget to stop by the Oliver Farmer`s Market in Lions Park on your way to the concert! Great local produce, preserves, and crafts. Open from June 27 to Sept 5, Thursdays: 8am-11am, 4pm-7pm. 1. 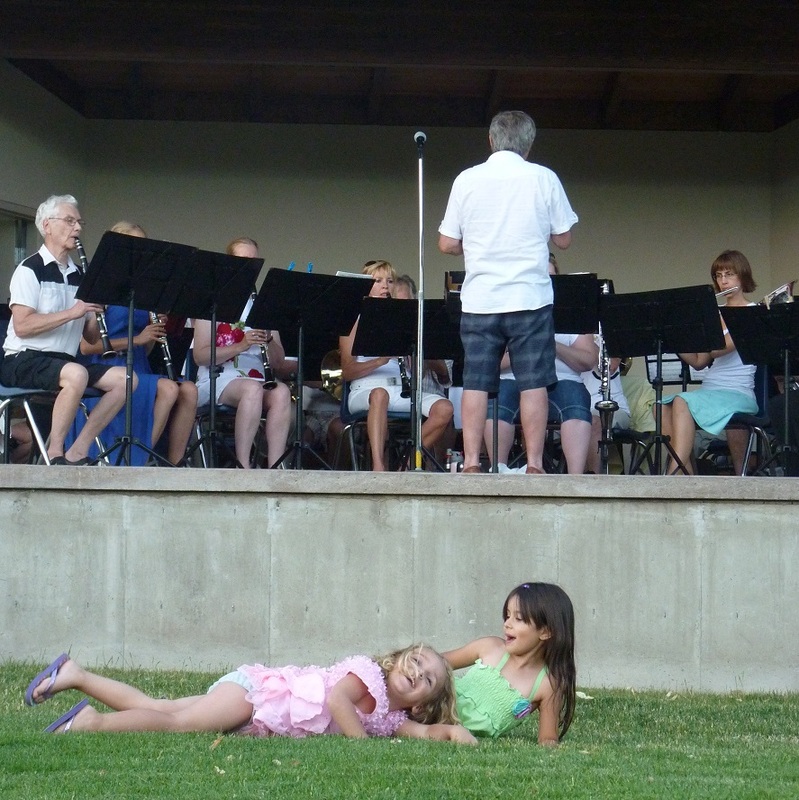 Nadeau conducts the Penticton Concert Band while two young audience members move to the music. 3. 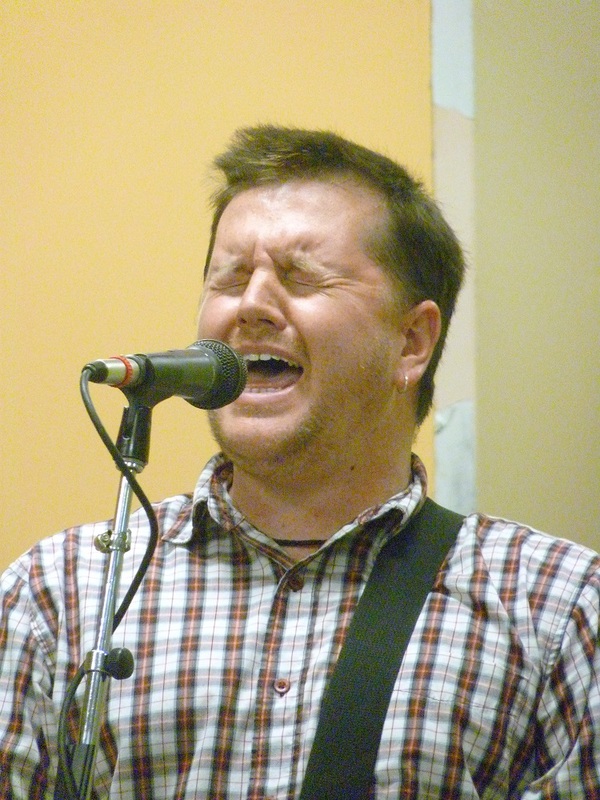 Brian Mapplebeck of Oliver performs with the band. The latest Creative Minds newsletter is full of local summer arts events. Click on the link below, print both sheets back to back on one page. Fold in half, and voila, there’s your newsletter!